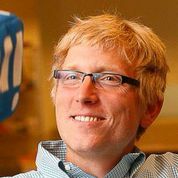 LUTZ FINGER, a director at LinkedIn, is an authority on social media and text analytics. He`s also co-founder and former CEO of Fisheye Analytics, a media data-mining company whose products support governments and various NGOs, such as the Organisation for Economic Co-operation and Development (OECD) and the International Olympic Committee, which was acquired by the WPP group. Next story Predictive Analytics – A Case For Private Equity?